Manmarziyaan box office collection Day 2 LIVE Updates: Helmed by Anurag Kashyap, Manmarziyaan on its first day of release received a positive response from the film critics, audience and Bollywood celebs. 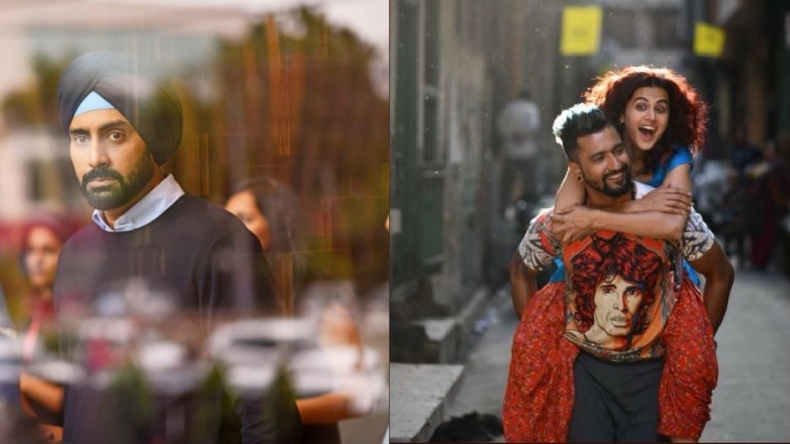 Abhishek Bachchan, Taapsee Pannu and Vicky Kaushal starrer Manmarziyaan managed to garner decent digits on day 1. As per sources, the movie witnessed an average opening in the morning but the got more audience heading towards theatres in the evening. The comedy love-saga is expected to Rs 5 crore in the opening week. Manmarziyaan, also stars Ashnoor Kaur, Akshay Arora, Pavan Malhotra and Gurpreet Bhangu. Bankrolled by Aanand L. Rai, Vikas Bahl, Vikramaditya Motwane, Madhu Mantena and Anurag Kashyap, the film is made under the banners of Colour Yellow Productions and Phantom Films.